PS4 continues to trample its competition in North America despite the Xbox One’s recent Kinect-free price cut. The Last of Us: Remastered was top-selling software. PS4 was the top-selling console in the US in July, according to the NPD Group’s monthly report, making it the hardware’s seventh consecutive month at the top of the charts. The NPD doesn’t give numbers, so we don’t know precisely how the two consoles are stacking up in the US. Sony said recently that PS4 has sold 10 million units worldwide, whereas the last update from Microsoft, in April, said Xbox One had shipped 5 million units worldwide. At this point it is fashionable to point out that the PS4 is available in 100 territories while the Xbox One has only managed just over a dozen. However, there’s no getting around the fact that Microsoft has been consistently beaten in the US, its key territory, to date. It doesn’t end at next-gen, either; Sony also took out the combined platform hardware spend, with PS3 and PS4 combined outselling Xbox 360 and Xbox One combined. That’s a hell of a thing; the Xbox 360 performs so strongly in the US that I honestly never thought I’d type the preceding sentence. In general, the NPD said hardware sales doubled compared to July 2013 thanks to the PS4 and Xbox One. In fact, the first nine months of the PS4 and Xbox One have outsold the respective period of the PS3 and Xbox 360’s lifespans by 80%. Microsoft has very little to say regarding the NPD’s report besides a comment that the Xbox One is selling “at a strong and steady pace”. Xbox One sales more than doubled month-on-month when the console’s price lowered, and Microsoft said it “continued to see this momentum in July”. So things look quite hopeful for Microsoft, and we may soon see the stakes even up a bit. As for Nintendo, it released sales figures and positive comments before the NPD’s report surfaced. Executive summary? Wii U improving, 3DS going great guns. Sony proudly announced that PS4 software is outselling Xbox One “by a considerable margin”, and accounts for “more than half of total next generation software sales”. 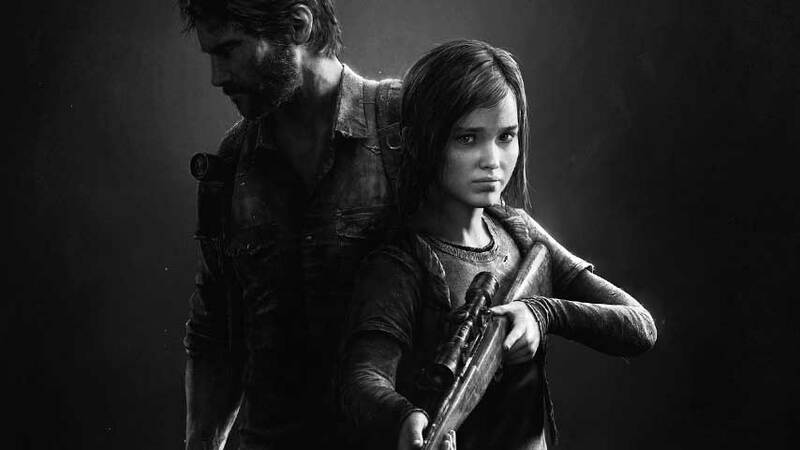 The Last of Us: Remastered was the best-selling game, and combined with the PS3 version, it topped the charts. This is amazing for a platform exclusive. Sony must be happy as a pig in non-intensive farming practices. In general, this month’s NPD report was positive. Total industry spend was up 16% year-on-year to $514.3 million (from $443.1 million). Hardware sales were, as hinted above, on the up – a huge 100% year-on-year increase to $198.8 million. Unfortunately that means less cash to spend on games, so software was down 15% year-on-year to $178.2 million. The NPD said fewer releases for the older consoles and generally lower sales on new releases also contributed to the downturn. On the subject of fewer releases, July would normally see a new NCAA game from EA Sports, which was absent this year due to the legal disagreement between the two companies. US retailers must be disappointed by this huge hole in the line-up. We’re expecting a CLC game to fill that void next year. Accessories grew slightly but were nothing to write home about; let’s see how a new Disney Infinity and Skylanders changes that later this year. Just for the record, remember that the NPD only covers new, traditional retail – not digital, trade-ins and other key revenue streams. So even when the numbers go down, it’s not necessarily anything to worry about.